Bureau Leeters was founded in 2003 by Jos Leeters (1961). After graduation at Wageningen University in Plant Sciences and Marketing, he built experience in managing positions for two Dutch flower auctions and a Dutch farmers' cooperative in organic vegetables during the period 1988-2002. 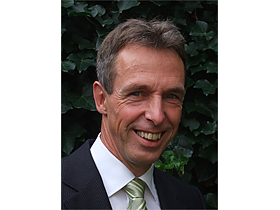 Jos Leeters is a specialist in marketing and trade aspects in international horticulture: both ornamental products (cut flowers, pot plants) and food products (fruit, vegetables). Though his international experience and networks are broad, he specializes in private sector development in emerging economies and developing countries. The main scope of Bureau Leeters is business development. On top of that Jos Leeters has a special eye for educational and training issues, based on his long-standing experience in higher education. He participated in various capacity building and curriculum development projects with VHL University of Applied Sciences and currently collaborates with HAS University of Applied Sciences on international projects. Customers and partners know Jos Leeters as a pragmatic consultant, combining his people orientation and intercultural antenna with a problem solving and solution orientated approach. Sustainability is very important within his working methods, which means no quick wins but long term projects and partnerships. More information is available in his Curriculum Vitae. Jos Leeters is the main consultant in Bureau Leeters. Fresh Dynamics Asia offers solutions and services strengthening the entire supply chain of fresh and processed horticultural products. Fresh Dynamics Asia operates in Asia and Africa and has subsidiaries in Pakistan, Indonesia and Thailand. Fruit Consultancy Europe offers company coaching and market access support for SME's and business support organisations in the fresh fruit and vegetables sector all over the world, with a special focus on European market entry. HAS is the green expertise centre of the South of the Netherlands and far beyond. It has strong roots in the agricultural sector and offers various study programs for the international food- and agribusiness. HollandDoor specializes in customized study tours, business matchmaking events and tailor-made training courses in the Dutch horticultural sector for groups and individuals from home and abroad. Ideavelop S.A. is a Costa Rica consultancy firm with Dutch roots, creating bridges between private and public entities through market research, project development, project management and organisation of exhibitions and events. ProFound provides professional support to organisations and programs dealing with sustainable development and trade promotion in developing countries: market analysis, sustainable value chain development and (export) marketing of biodiversity related products. ProVerde is an internationally oriented consultancy firm providing market analysis and trade facilitation services to companies, organisations and government institutes. Areas of specialisation are cut flowers, plants, foliage, fruits & vegetables and biodiversity products. Van Hall Larenstein is a unique knowledge institute that combines higher vocational education with consultancy services for economic and social questions. Van Hall Larenstein offers various Bachelor and Master programs.